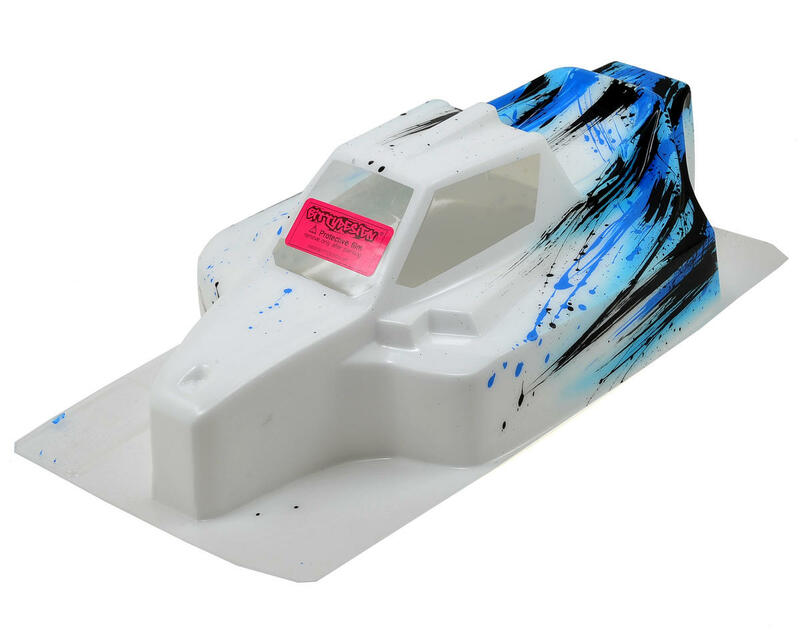 This is a pre-painted Bittydesign "Force" Mugen MBX7 1/8 Buggy Body, in "Grunge" paint scheme. We have teamed up with Bittydesign to offer you another choice for custom paint that will make your car stand out in a crowd of one color wonders, and cookie cutter RTR bodies. 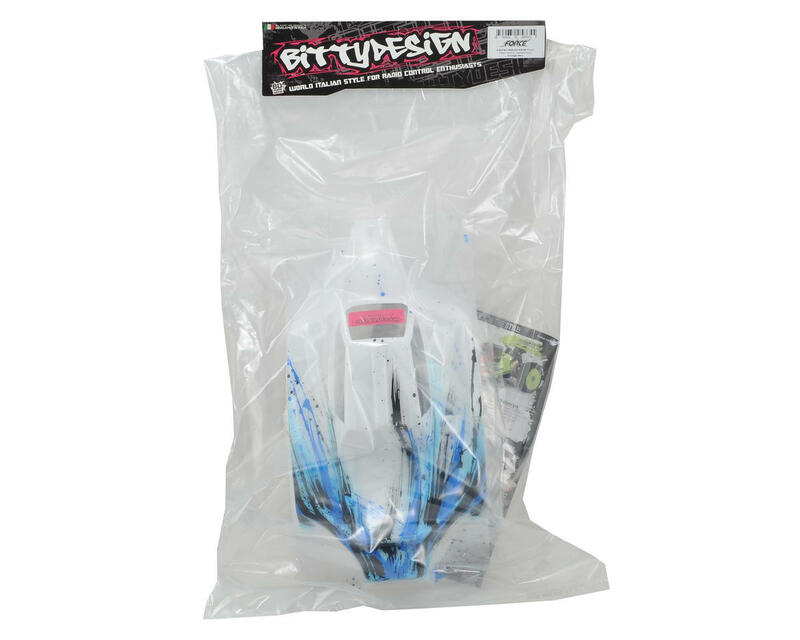 This pre-painted body features the striking Bitty "Grunge" paint scheme, with Bitty's trademark splatter graphics that give this body a modern look that will make you the envy of everyone at the track. This body is marked as compatible with the MBX7R ECO, but it does NOT fit. It won't clear the battery pack and not just by a little. Aside from that, the paint job is pretty cool.